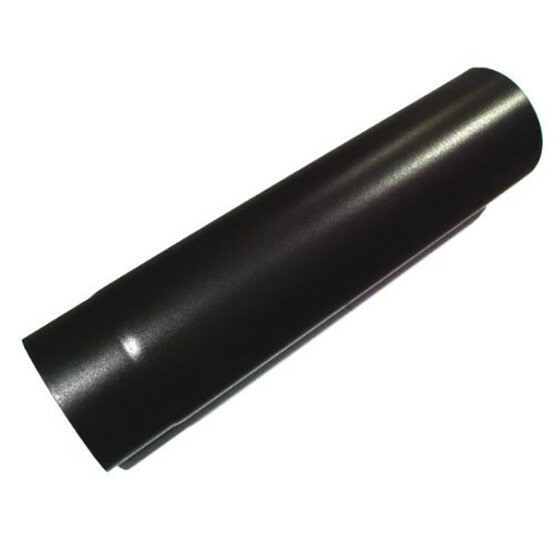 Plain black enamel finished flue pipe. 5 inch diameter (125mm). 0.5 metre long, straight section without cleaning door. 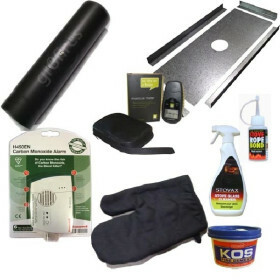 Compatible for use with our multi-fuel and woodburning stoves. Great price, great delivery and great products. Would definitely recommend to others. This is a really good company to deal with a great team who go the the extra mile to help and the service was impeccable and really fast. I would highly recommend this company anytime. Easy to fit to stove. Not installed yet, but don't envisage any problems with this product. What can I say unrapped it looks the job ,easy to fit. Had to purchase separately from our stove, seems to do the job well. Excellent service , timely delivery and the product looks fab . The flue is good quality and as described. Well made and finished, no problems with the fitting. Great price. Doesn't fit original 5" flue. Great price. No problem with quality. Didn't fit the 5" flue I was extending or the top hat. This is NOT a critism - just something to bear in mind. Original flue was from a different supplier. I made it work, it's in my office/shed and I have smoke and carbon monoxide detectors - so I'm comfortable with what I have done. TIP: Buy all flues from GR8 fires or if you are adding to a flue, go back to the original supplier. Very good quality and quick delivery service . Delivered with stove, on time, as agreed. DITTO - Same as above. No complaints. This Company is a brilliant 'find' they never fail to deliver with quality and fast and efficient ordering and delivery system. This flue section is an example of the good quality accessories they sell. We bought this flue to accompany our Mazona Multifuel Stove & it was sufficient for our purpose and easy to install. This was an additional component for a recent purchase of a complete wood burning stove and its ancillaries from Gr8fires. The service and expert advice received from this company, during the initial enquiry and later stages of choosing and purchasing a wood burning stove, is outstanding. You speak to knowledgeable people, giving good advice: their telephones are answered promptly and their deliveries are prompt and efficient. This company is high recommended without reservation. Hi,I have now installed my Mazona rocky stove and flue pipe,we have now used it four or five times,we are burning hard wood,which is recommended,we are still getting a awful smell when stove up to temp,it's so bad it effects the whole house,is this normal?even when the stove is cold it still smells strong,it's like a chemical smell,my wife wants to know if it's dangerous breathing the fumes in,we are not able to stop in the same room,when it's burning,any advice would be welcome, thank you. Gr8fires reply: It sounds like you have a creosote problem, If your stove isn't already fitted with a liner this may well be the cure. The stove itself and flue are unlikely to produce a smell other than during the curing process. I recommend you have a look on www.hetas.co.uk for a flue specialist to come and take a look. Reasonable price for this item when compared to alternatives available. Good quality and excellent delivery. Flue is now fit and fully functioning.